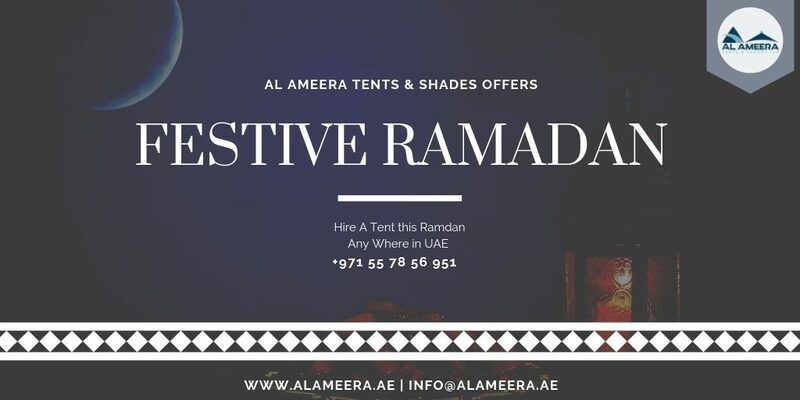 Ramadan Festive in UAE is a magical time, when the whole UAE embraces its Arabian traditions. The quieter pace of the day invokes a spirit of calm and introspection – but after sunset, the city comes to life with a Ramadan Festive vibe under the Special Ramadan Tenrts. Seasonal, one-off events take place across the city, while malls are abuzz with special activities and themed entertainment well after midnight. Whether it’s late-night shopping, arts and cultural events or sports tournaments, you can look forward to 30 days of unique celebrations. An eventful day during Ramadan is broadly observed within two spheres. First, the time of fasting from sunrise to sunset when a Muslim is expected to abstain from food , water, bad conduct and character and utilize the hours in prayers, reading and recitation of the Qur’an and helping the needy. The second circles around Ramadan Festive food rituals of the iftar under the Ramadan Tents after sunset till the sahoor before sunrise in addition to the prayers, including taraweeh (special night prayers) held after Isha prayers, unique to Ramadan. 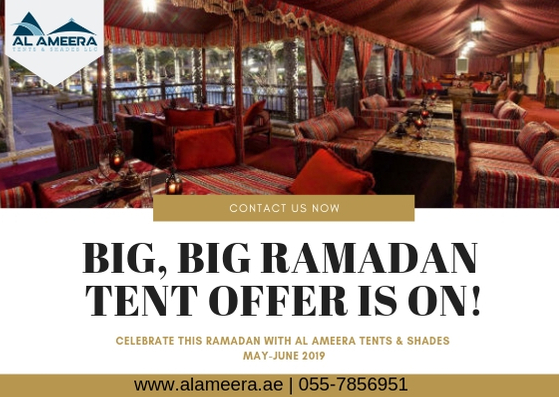 Al Ameera Tents & Shades provides the tent’s sale and rental service along with Car Parking Shades manufacturing, Tensile Shades, Traditional Arabic Majlis Tents and Porta-cabins. 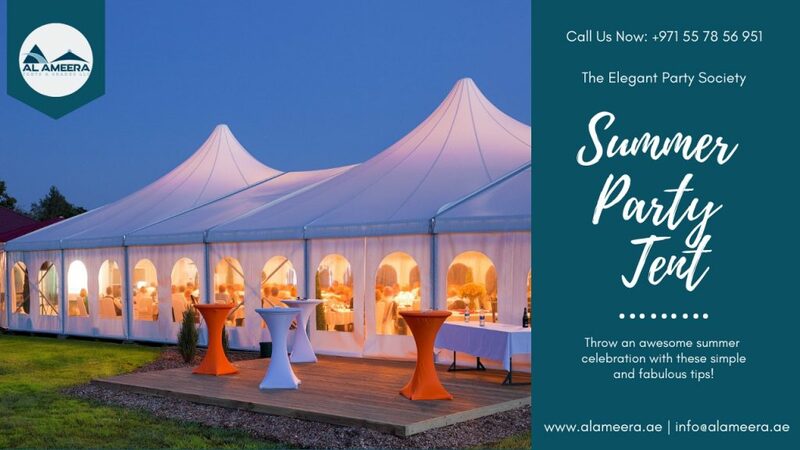 Al Ameera Tents & Shades has employed experienced managers and engineers. 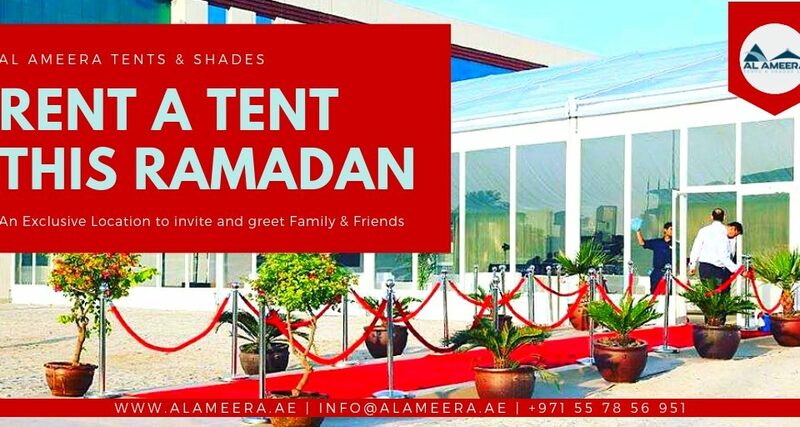 Al Ameera Tents & Shades was previously known as Babil Aluminum & Glass. BAG is well recognized company in field of all aluminium works i.e complete Kitchen and Bathroom cabinets, Aluminium Cladding, Glass Fences, Aluminium Door and Windows. 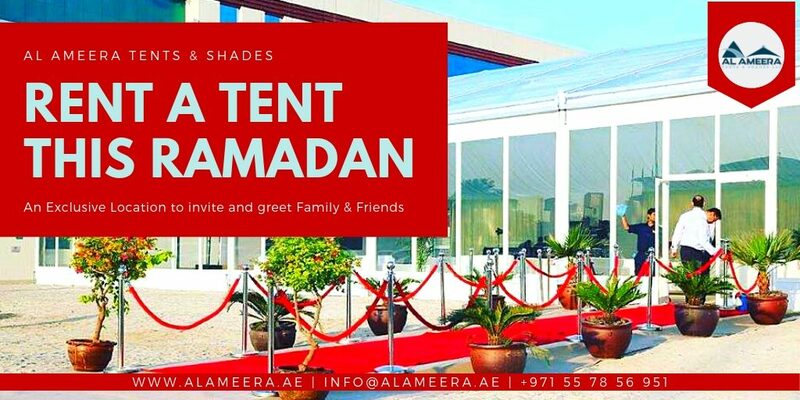 Al Ameera Tents & Shades provides the tent’s sale and rental service along with Car Parking Shades manufacturing, Tensile Shades, Traditional Arabic Majlis Tents and Porta-cabins. 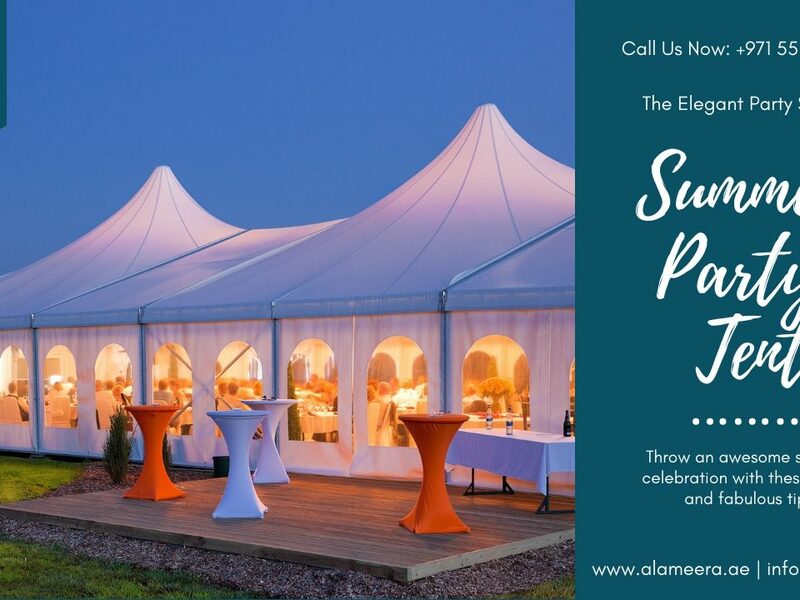 Al Ameera Tents & Shades has employed experienced managers and engineers.